Hand-Painted Gourd by Sandy Short of handpaintedgourds.com. Please browse through and see my unique artwork. Great keepsake. 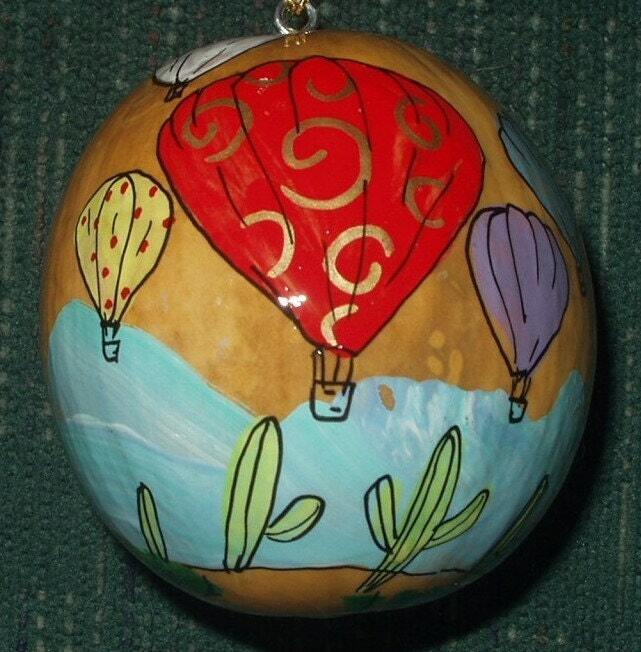 This gourd is called "Hot Air Balloons". 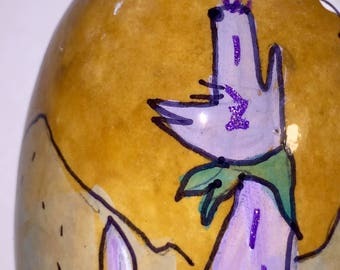 It makes an interesting gift, special art piece, collectors item, or Christmas ornament. I was featured recently in "New Mexico Magazine".